Poachers aimed their guns at the rhinos and pulled the triggers. When the bullets hit the animals, they fell hard to the ground. Then the poachers got to work hacking off their horns. The rhinos were left to die, but their horns were carefully packed into crates and shipped to Asia, where they'd be sold for large amounts of money. 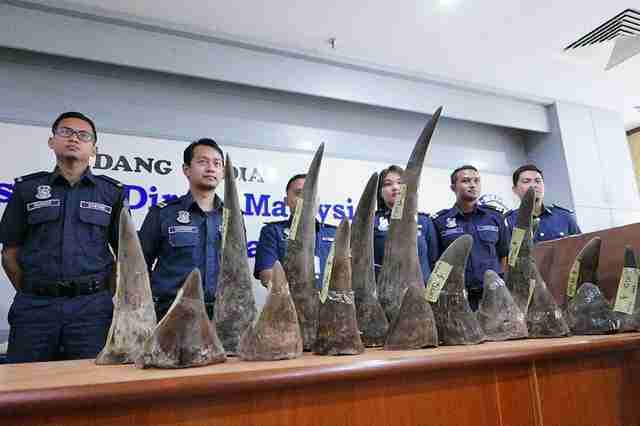 Thankfully, the people who shipped these rhino horns to Asia were caught. 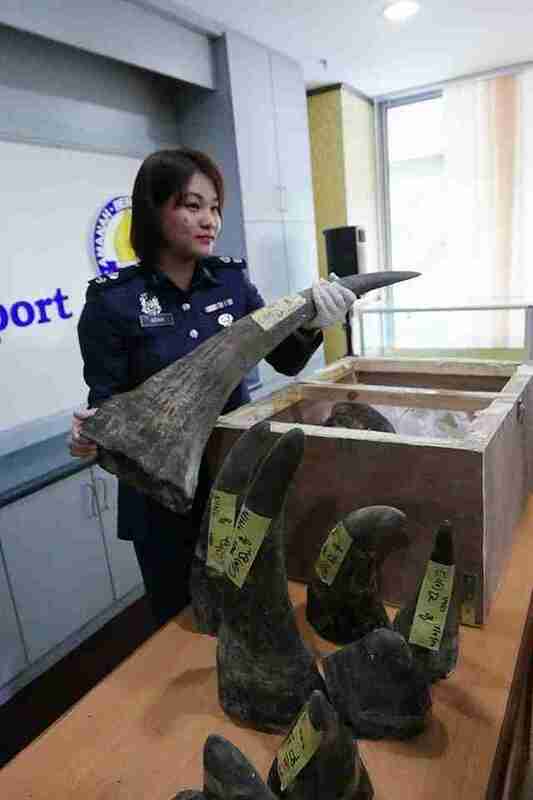 Last week, Malaysian officials at the Kuala Lumpur International Airport in Malaysia inspected a crate labeled "artwork" - and found 18 rhino horns inside. 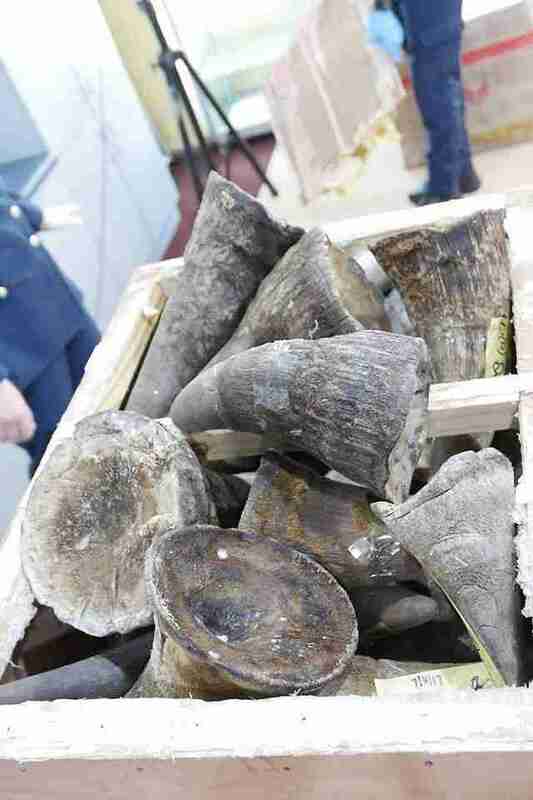 The officials immediately seized the horns, which were being transported illegally. 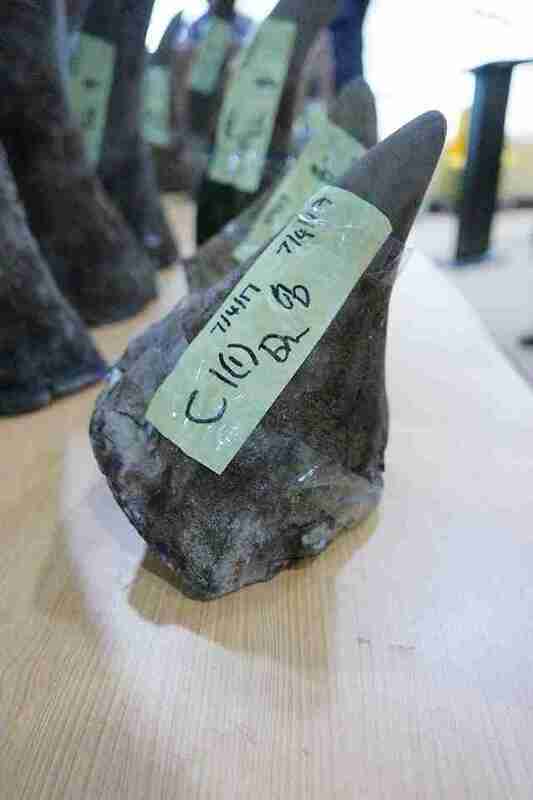 These 18 rhino horns could represent about eight dead rhinos, David Newton, a South African representative for TRAFFIC, an international wildlife monitoring network, told The Dodo, although he noted that this is just an estimate. "There do seem to be many pairs of horns - large front, smaller back horn," Newton said. "Normally poachers remove both horns from the animals." Newton also explained that the horns looked like they'd been cleaned prior to shipping - probably to reduce bad smells and decrease detection. Unfortunately, these kinds of busts are far too common. 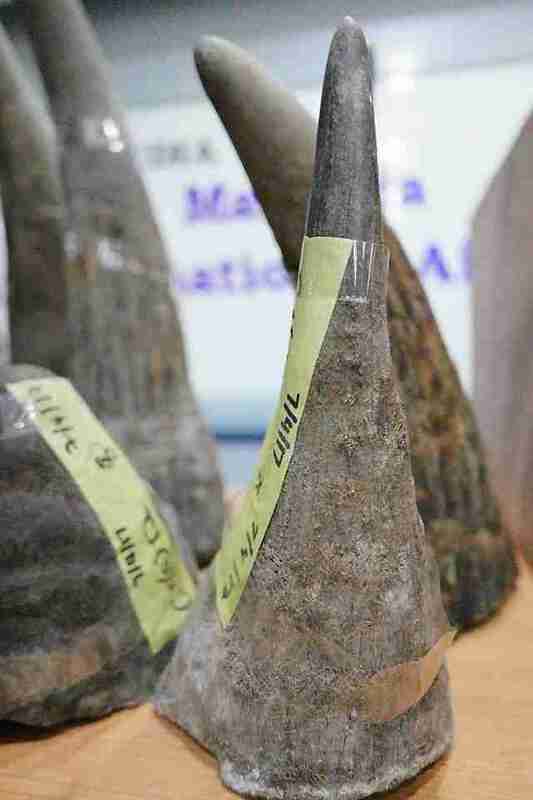 Since the beginning of March, authorities have seized over 103 rhino horns and horn pieces on five separate occasions throughout Asia, where they're used in traditional medicine. And these are just the shipments that have been intercepted by officials. Poachers have gotten increasingly brazen. Last month, armed men stormed a rhino orphanage in South Africa and killed two baby rhinos for their horns. Not long after that, poachers broke into a French zoo and killed a captive rhino for his horn. In South Africa, rhino poaching has been rapidly increasing since the 1990s. In 2016, it was reported that 1,054 rhinos were killed. Rhino poaching is also rampant in countries like Botswana, India, Kenya, Namibia and Nepal. Poaching is a massive issue, but Newton is pleased that wildlife traffickers are getting caught. "It seems that Asian law enforcement agencies are being increasingly effective at intercepting smugglers," Newton said. "On the other hand, it shows that smugglers are avoiding African-based enforcement agencies." Cathy Liss, president of the Animal Welfare Institute, expressed a similar view. 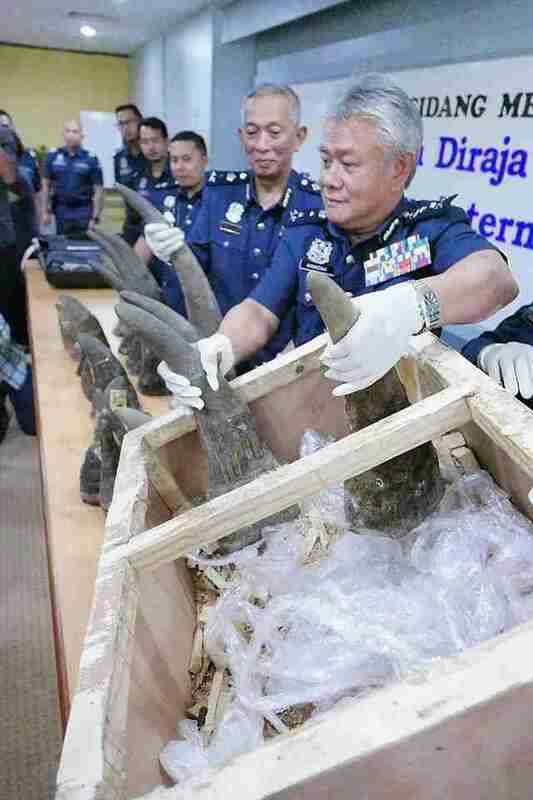 "We commend the authorities in Malaysia for seizing these horns, but are disappointed no arrests have been made," Liss told The Dodo. "This incident highlights the seriousness of the rhino poaching epidemic in Africa, as well as the need for all governments to collaborate in ending illegal wildlife trade. The market for rhino horn is devastating to the remaining populations of rhino and must be stopped if we hope to save these amazing species." To help save rhinos who are victims of poaching, you can make a donation to Saving The Survivors.